In my last post we talked about part 3 “Lien and Closing Information”. Today I’m going to cover the information on the potential buyer of a Knoxville Short Sale. 1. Accepted Purchase Agreement. When a buyer buys one of my listing that is a Knoxville Short Sale. Before my seller will accept any offer the buyer must first complete any inspections they may want to do. The only contingency on one of my short sale listings can be financing. If the buyer wants any inspections they must do them up front and be satisfied with the home. I do this because once we get the payoff from the lenders we will need to close within 30 days most of the time. We can’t afford to waste valuable time dealing with a home inspections issues once we have a payoff. This way it is a clean contract with few contingencies as possible in it. 2. Proof of Funds. We need to provide evidence that the buyers are able to come up with the money to buy the home. If it is a cash transaction we need to get copies and verify that the funds are available to close once we get the payoff from the lender. If the buyer is getting a mortgage we need a full approval just mot a pre approval letter. 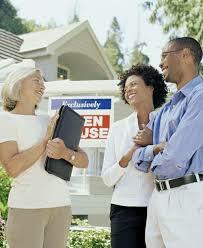 I also verify with the buyers lender they will be able to close with in 30 days once I get a payoff. 3. Copy Of Earnest Monies Check. We make a copy of the earnest monies check so the lender knows we have a check in the Real Estate offices trust account. It is critical when selling a Knoxville Home that is a short sale that you have a good solid buyer. The buyer must understand that the process can take time and they must be patient with the process. Our team at KnoxvilleHomeSaver.com goes to great lengths to work with our buyers, sellers and Realtors to make sure they understand the short sale process. We keep everyone informed with weekly updates on our transactions. We have a full time negotiator that does nothing but stay in contact with the lenders. Making sure they have everything they need on our transactions and pushes to get them closed ASAP. This is Part 4of how to achieve a successful short sale in Knoxville, TN. It takes a train professional like myself with the CDPE designation to help guide a distressed homeowner through the short sale process. As a CDPE we are up to date on all the latest trends and changes that are going on in order to help homeowners who may be facing foreclosure.